ევროკავშირი-საქართველოს ბიზნეს საბჭოს ინიციატივით, საქართველოს უზენაეს სასამართლოსთან თანამშრომლობის ფარგლებში, 2018 წლის 6 მარტს თბილისში, სასტუმრო “ქორთიარდ მარიოტში” გაიმართა კონფერენცია სახელწოდებით „ბიზნესდავები და სასამართლო პრაქტიკა“. აღსანიშნავია, რომ ასეთი ფორმატის კონფერენცია, სადაც სასამართლო ხელისუფლება და ბიზნესი ერთმანეთს ხვდება, საქართველოში პირველად გაიმართა. ევროკავშირი-საქართველოს ბიზნეს საბჭო, სასამართლო ხელისუფლებასთან შეთანხმებით, გეგმავს აღნიშნული ფორმატის კონფერენციას ყოველწლიური სახე მიეცეს, რაც მნიშვნელოვნად შეუწყობს ხელს პრობლემატური საკითხების მოგვარებას. უზენაეს სასამართლოსთან შეთანხმებით, წლის განმავლობაში კი შესაძლებელი იქნება უზენაესი სასამართლოს სამეცნიერო-საკონსულტაციო საბჭოს ფარგლებში ბიზენს ასოციაციებისა და ბიზნეს სექტორის შეხვედრების გამართვა სასამართლო ხელისუფლების წარმომადგენლებთან. დამოუკიდებელი სასამართლო წარმოადგენს დემოკრატიული საზოგადოების არსებობის ერთ–ერთ მთავარ გარანტს. თავისუფალ სასამართლოზეა დამოკიდებული ჩვენი ქვეყნის სწორი განვითარება, როგორც ეკონომიკური და პოლიტიკური კუთხით, ასევე საზოგადოების განვითარების თვალსაზრისით. აღნიშნული კონფერენციის მუშაობაში მონაწილეობა მიიღეს უზენაესი, საქალაქო და სააპელაციო სასამართლოების მოსამართლეებმა, ასევე ქართული და უცხოური ბიზნესკომპანიების წარმომადგენლებმა. ღონისძიების ფარგლებში მოქმედმა მოსამართლეებმა თავიანთ მოხსენებებში ისაუბრეს ბიზნეს საქმიანობიდან წარმოშობილ დავათა სამართლებრივი მოწესრიგების მნიშვნელოვან ასპექტებზე, ასევე – აღნიშნულ დავათა გადაწყვეტის პრაქტიკულ საკითხებზე და გაიმართა დისკუსია. გარდა ამისა, წარმოდგენილი იყო ბიზნეს კომპანიების ხედვა საქართველოში ბიზნესის განვითარების პერსპექტივებისა და ამ მიმართებით სასამართლოს როლის შესახებ. 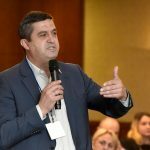 ღონისძიება “ბიდიო საქართველოს”, “საქართველოს დისტრიბუტორთა ბიზნეს ასოციაციის”, კომპანიების „ხარიზმასა“ და „სარაჯიშვილის“ მხარდაჭერით ჩატარდა. აღსანიშნავია ზემოხსენებული კონფერენციის მზადების პროცესში უზენაესი სასამართლოს ხელმძღვანელობის მხარდაჭერა. 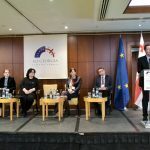 EU-Georgia Business Council, within the framework of cooperation with the Supreme Court of Georgia, held a conference titled “Business disputes and Court Practice” on March 6, 2018, at Courtyard Marriott Hotel, in Tbilisi. 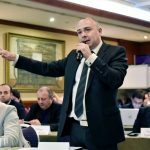 It is noteworthy that the conference format, where over 30 representatives from the Judicial Authority and more than 90 representatives of Business Sector met each other, was held for the first time in Georgia. 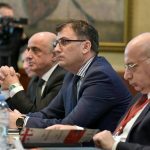 The EU-Georgia Business Council, in agreement with the Supreme Court, intends to provide the annual format of the conference format, which will significantly facilitate the solution of problematic issues. 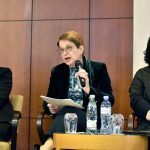 As well as, within the framework of the Supreme Court Scientific-Advisory Board, it will be possible to conduct meetings with Business Associations and Business Sector itself. An independent court is one of the main guarantees of the existence of a democratic society. The free courts depend on the proper development of our country in terms of economic and political, as well as, the development of the society. 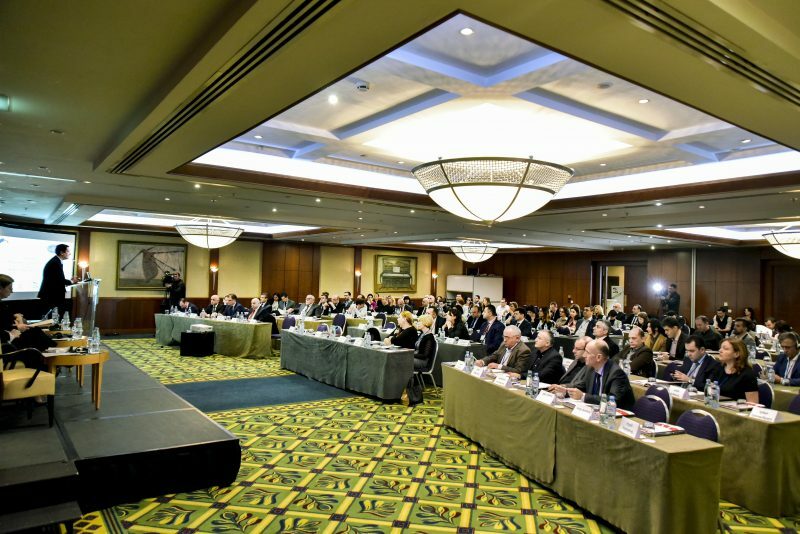 Judges of the Supreme, City and Appeal Courts of Georgia, as well as representatives of Georgian and foreign business companies took part in this conference. During the event Acting Judges talked about the important aspects of the legal regulation of the disputes arising from business activities, after each was followed by the discussions on the practical issues and resolutions. 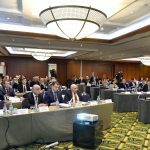 In addition, attendees presented business companies’ vision on business development prospects in Georgia and the role of the court in this regard. 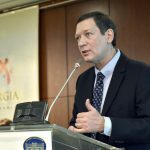 The event was organized by “BDO Georgia”, “Georgian Distributors Business Association”, companies “Kharizmma” and “Sarajishvili”. In the process of preparation the above mentioned conference, support of the Supreme Court of Georgia was invaluable.